 This month, the Union Grove Blog is bringing residents ways to get costumed to celebrate Halloween. Check out our DIY resources as well as some online and local costume shops.Whether you hunker down in your apartment to create a costume from scratch or head out to shop in the Barrington, NJ area, we’ve got you covered. Read on to learn more about these in today's blog post. If you’re a fan of Bob Ross and his happy little trees, this is a must Halloween costume to try! Just don a brown curly-haired wig and a beard and mustache. Wear a white button down, some jeans, and push up the sleeves and you’ll be his spitting image. You can even showcase your artistic skills by cutting a face-sized hole in the middle of a canvas and painting some trees surrounding the hole. Use some makeup to have a friend complete the look. You don’t have to be a fan of the band — or have friends for a group costume — to pull this costume off. This is the perfect costume to try if all you can find in your apartment or between the couch cushions is a handful or two of nickels. Round up as many as you can find and glue them onto the back of a spare T-shirt. A timeless combination, and it’s easy to nail the look with a few well chosen pieces, hats, hairstyles, and accessories. We love the whole 1920s look, hello Charleston. 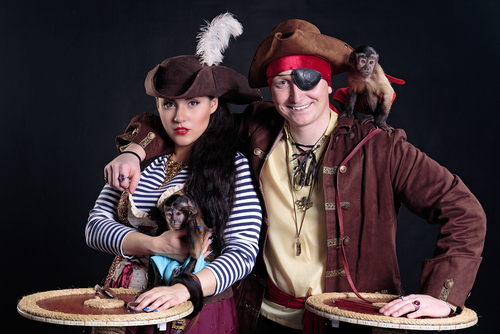 Yo ho ho - being a pirate is a super easy-to-pull off costume idea for couples for Halloween. You can both be pirates, or one can be a pirate and the other a wench. Have fun and brush up on your pirate-speak, because it’s an important part of your character. Cut the bottom out of a cardboard box to make it into the basket, attach some helium balloons to your basket, and add a few decorative touches. Or get inspired by Creatively Christy to turn yourself into the flying house from Disney Pixar’s movie UP! Check out 31 more DIY Halloween costume ideas from Good Housekeeping by clicking on the link if one of these doesn’t work out for you. With a full line of costumes, Party City will help you get set for Halloween. From scary to cute, to popular characters, they have it all, even Halloween costumes for your dog! Not only do they have costumes, they carry costume accessories too: Halloween wigs, costume sunglasses, Halloween makeup, costume wings, and themed costume accessories that take your character to a whole new level of fun. From the website: Explore our vast selection of original and amazing costume ideas to find the perfect costume that is uniquely you. Think Halloween props, accessories, hats, wigs, shoes, make-up, masks and much more, all designed to transform you and your family in bewitchingly convincing Halloween style. Professional grade theatrical quality costumes and accessories add a note of authenticity to fool even your closest family members and friends. From the website: Want to stand out in the crowd? Come to Pierre’s! Renting unique hand crafted costumes is what we do best! We work with our customers to provide everything from full costumes & novelties to make-up and wigs. Pierre’s Costumes has over a million professionally made costumes for you to choose from. We never run out of options. However you get your costumes, we hope everyone in our apartment community has a safe and spooktacular Halloween this year! Thanks for reading today’s post.